My co-worker always comes to work with some of the cutest bracelets. Check out this cute bracelet she wore today. A friend of hers actually makes them. 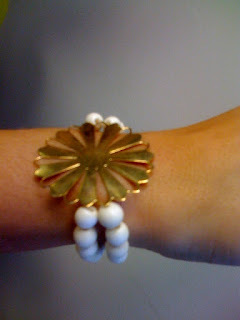 We had blogged about them before, but just had to share this new bracelet she created. goodness, that is the cutest thing i've seen all day!